On September 30, 2003, the Magic Kingdom attraction Mickey’s PhilharMagic opened in Walt Disney World. The attraction is located in Fantasyland, right next to Peter Pan’s Flight, and replaced The Legend of the Lion King. The attraction itself is a 12-minute 3D film, with guests given special 3D glasses in the lobby before entering the theater. 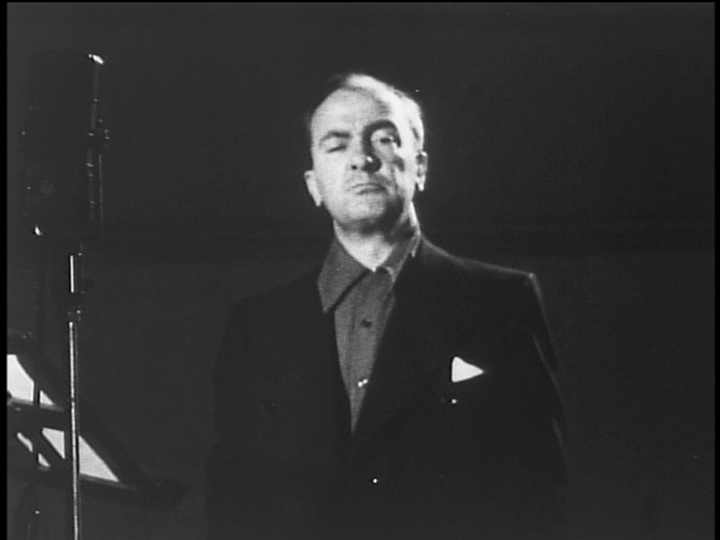 There are also special in-house effects that draw the viewer into the film’s adventure. 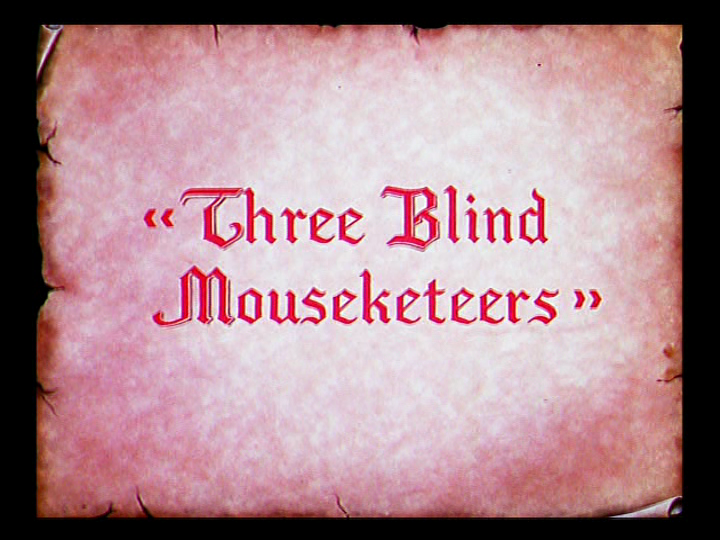 The plot of the film is that Mickey is getting ready to conduct a magic orchestra, but Donald takes Mickey’s Sorcerer’s Hat and decides to take over. Things spin wildly out of control, and Donald is plunged into scenes from beloved Disney films, from Beauty and the Beast to Aladdin. Mickey’s PhilharMagic had a grand opening ceremony on October 8 2003. Similar versions of the attraction were opened in Hong Kong Disneyland on September 12, 2005, and Tokyo Disneyland on January 24, 2011. Posted in Uncategorized and tagged 2000s, Attraction, Disney Park, Donald Duck, Music. Bookmark the permalink. 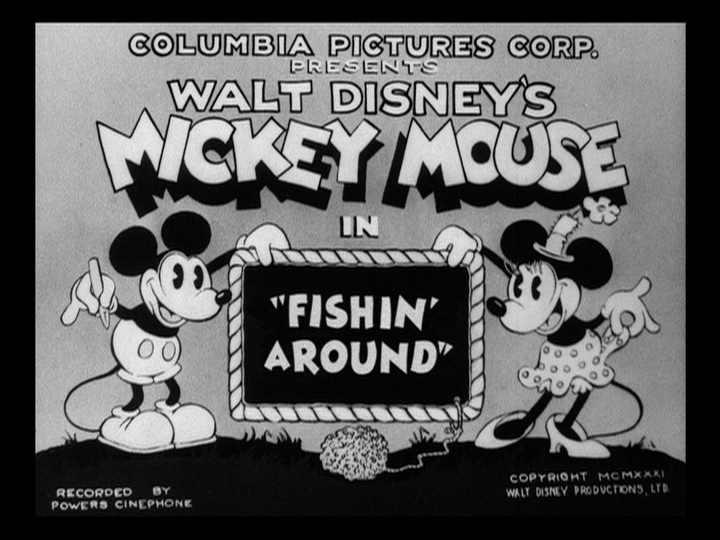 On September 25, 1931, the Mickey Mouse short film Fishin’ Around was released to theaters. 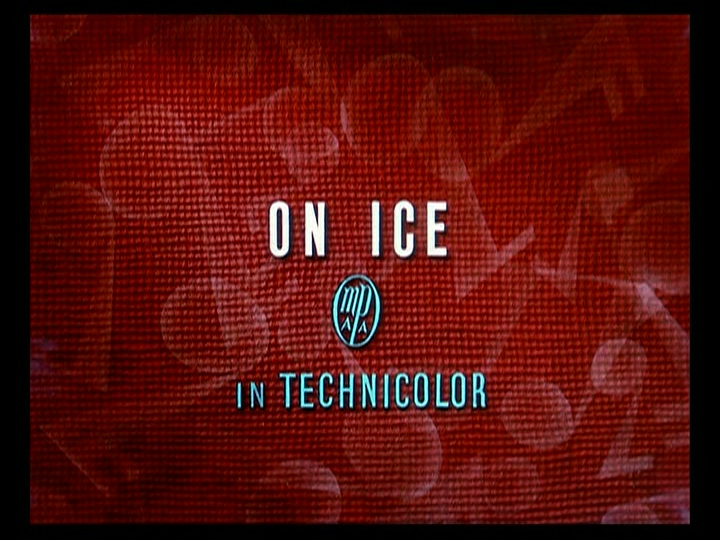 It was directed by Burt Gillett. 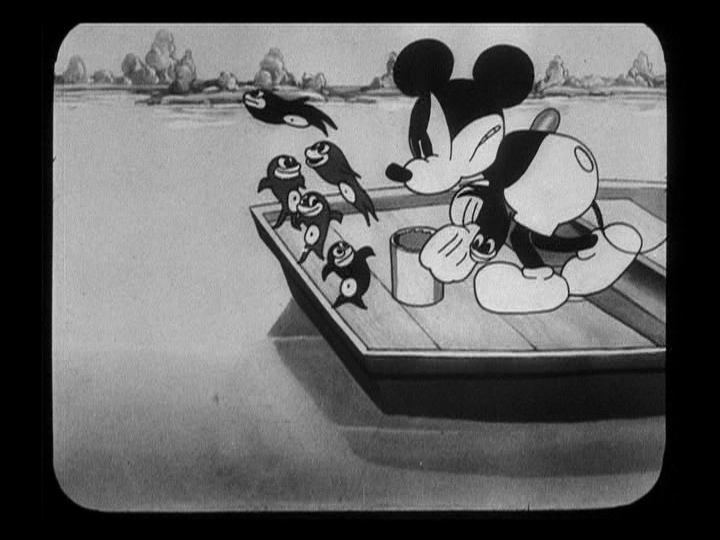 Mickey and Pluto are out on a lake, with several fish jumping about and dancing on the boat’s oars. They run across a sign that says “No Fishing,” but Mickey weighs the sign down with horseshoes and sends it to the bottom of the lake, and the two enjoy their fishing expedition. One fish steals the worm from Mickey’s line and taunts him, and Mickey ends up hooking himself, sending his shorts flying into the lake. Two other fish trick Pluto by attaching an old corset to his line. Angered, Pluto dives into the water to catch a fish, except that the fish is easily able to slip from Pluto’s grasp. 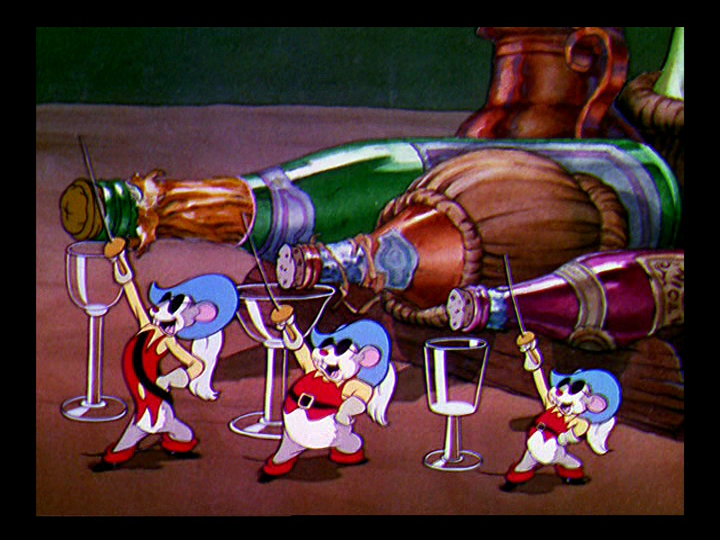 A group of fish sneak onto the boat and eat all of Mickey’s bait, dancing all the while. Mickey finally scares them all away, but they manage to steal all of the bait before they jump from the boat. Pluto, meanwhile, is underwater still searching for fish, and chases one into a cave, only to be chased out by a monster fish with large teeth. He escapes back tot he boat, and the pair tries once again to catch a fish. The fish hook Pluto’s and Mickey’s hooks together, and Mickey ends up hooking Pluto, who is able to catch a fish, but the fish quickly escapes. Finally, a policeman finds the pair, and is about to arrest them, when Mickey paddles away as fast as he can, tripping the policeman up. 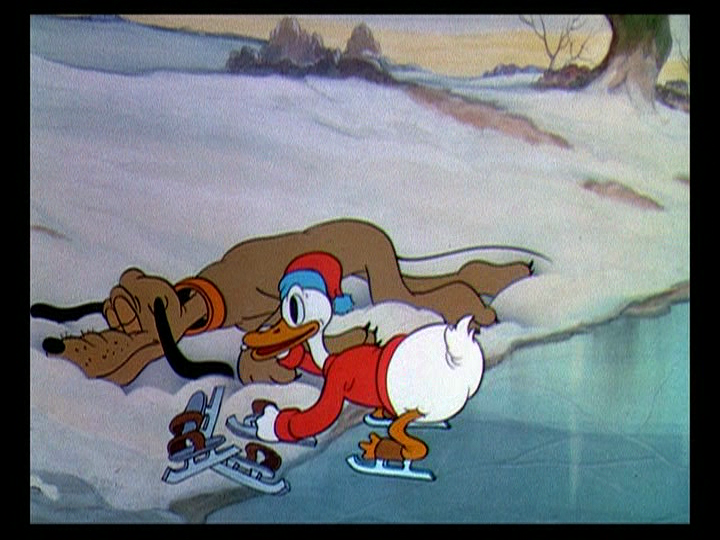 The chase continues across the water, but Pluto uses his tail to create a makeshift speedboat, and the two are able to evade the police.